Guerly Adonis is a paralegal at the Law Office of Byrnes Guillaume, Attorney at Law, PLLC. She studied law at the Faculté de Droit et des Sciences Economiques in Port-au-Prince, Haiti and later received her B.S. degree in Criminal Justice from Florida Atlantic University. 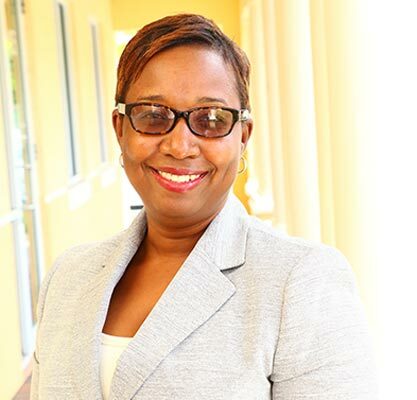 After an eight year career as an attorney at the Office de la Protection du Citoyen and the Law Office of Marcel Desir in her country, Guerly moved to Florida in May 2004. Prior to joining the Law Office of Byrnes Guillaume, Attorney at Law, PLLC in 2013, she worked at the Clerk and Comptroller of Palm Beach County for eight years.